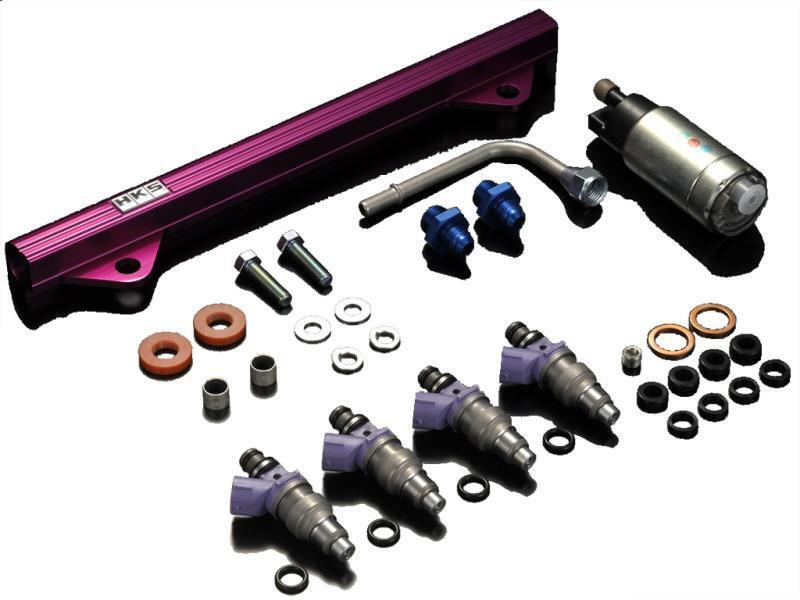 Complete Fuel Upgrade Kit for the MITSUBISHI LANCER EVOLUTION X. Large capacity 800cc injectors, fuel pump and fuel delivery kit. Dual spray pattern injectors. The tapered shape of the injector ports enable consistent fuel mixtures. Injector spray pattern direction is adjusted to target the intake valves improving the response of the A/F ratio because of reduced fuel volume onthe port surface. Same dimensions asstock fuel pump enabling higher fuel volume.